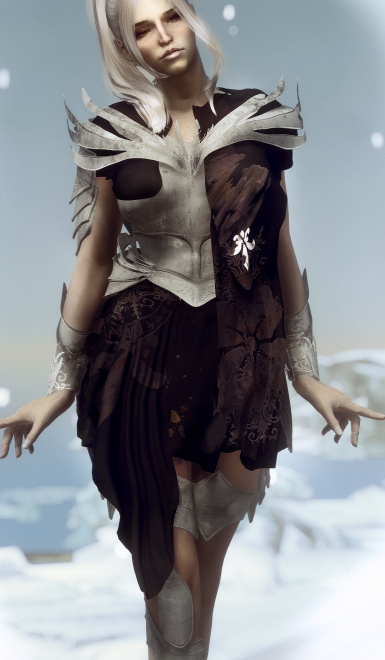 Adds a new light female armor to the game. UNP, or CBBE compatible. The armor in either CBBE or UNP version, with inventory models, craftable and upgradeable at a forge and workbench. 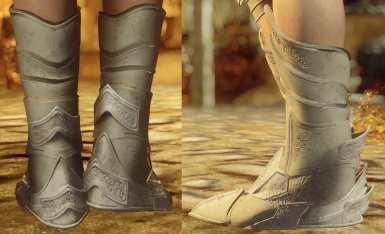 This mod will add a new light female armor to the game. You can choose between either UNP or CBBE Body. 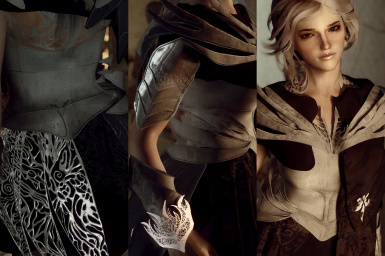 The armor consists out of 8 parts that you can choose to equip or not. The parts are the armor itself, a Cape, gauntlets, the chestpiece, pauldrons, the armor on the legs, the silver backpiece and boots. 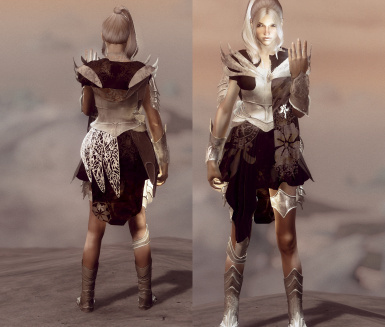 How to get the armor? The armor is craftable at a forge if you have the steel armor smithing perk (it's the very first one, so it's likely you have it), all parts require slightly different materials to be crafted. I tried to make those realistic. And finally a thank you to everyone who downloads, endorses, comments and keeps the skyrim community alive to this day. 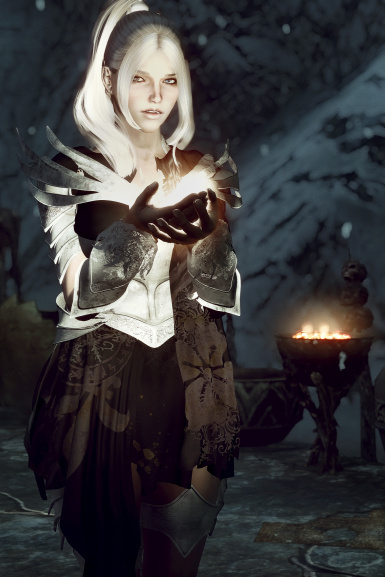 Skyrim came out on the 11th of November 2011 and I know very few games from 2011 that still have a decent amount of players, yet skyrim does. 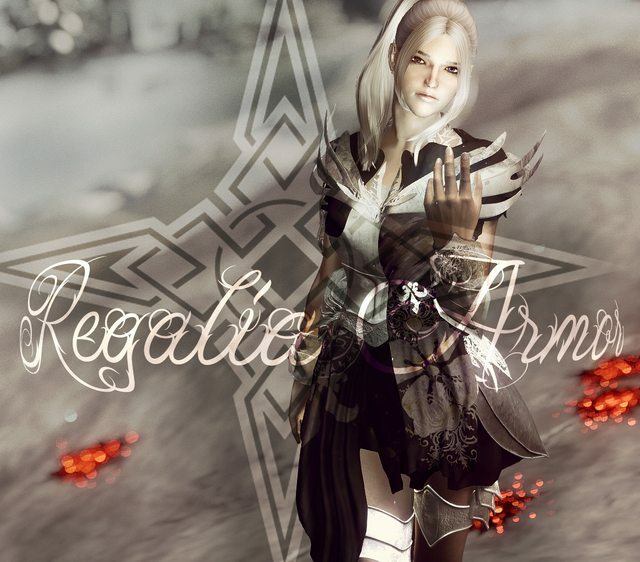 It remains interesting through many unique mods, new lands, quests, voiced followers, swords, armors, overhauls, and so on. That's really amazing! When I first started modding I thought I would never be able to create a 3d model from scratch, but decided to learn it. 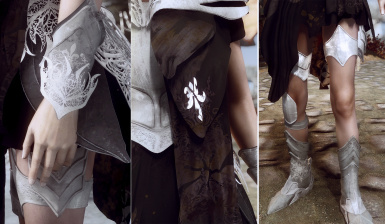 And I'm proud to be able to release this armor today. 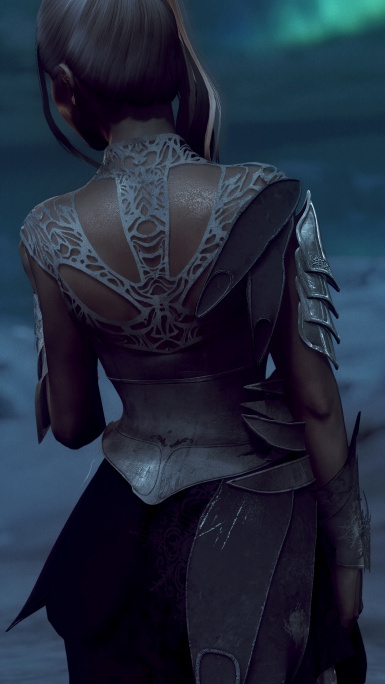 I know there's always different opinions on how an outfit should look, what armor rating it should have or if it should be called armor at all. And I read through all of the comments, I enjoy the nice ones a lot and try to learn something from criticism. Just know - It is a lot of work to create 3d models. The modeling itself is very enjoyable, but to get a mesh into the game for the first time is a difficult, long and boring process. The more often you do it the faster you'll probably get at it. But it remains a rather tedious process. So I highly respect everyone who creates those mods. And stay aware please, that those who mod do it for fun and for free.